Matt Lee-Manwar has the playfulness of a young boy and the exterior you would expect from an athlete making their mixed martial arts pro-debut. “I will take life seriously when I’m 30,” Matt says as he counts how many years he has left. With two Bachelor degrees under his belt in Economics and Environmental Science, Matt is now seeking a new title to add to his list of achievements. He is due to fight on the main card at Aftershock 29 on May 19th at the Mansfield Tavern. Matt will be up against his opponent, Ezra James, in the lightweight bout of the night. Aftershock isn’t new for Matt. In 2016, Matt and his opponent, Matt Tana, showed spectators their talent, ultimately winning fight of the night. Matt displayed his Brazilian Jiu Jitsu skills and took home the win by unanimous decision over Tana. He is looking to continue his winning streak at aftershock. For Matt, his teammates and his coaches are what drive him. Through weight cuts and hard training, he finds them to be the best support. 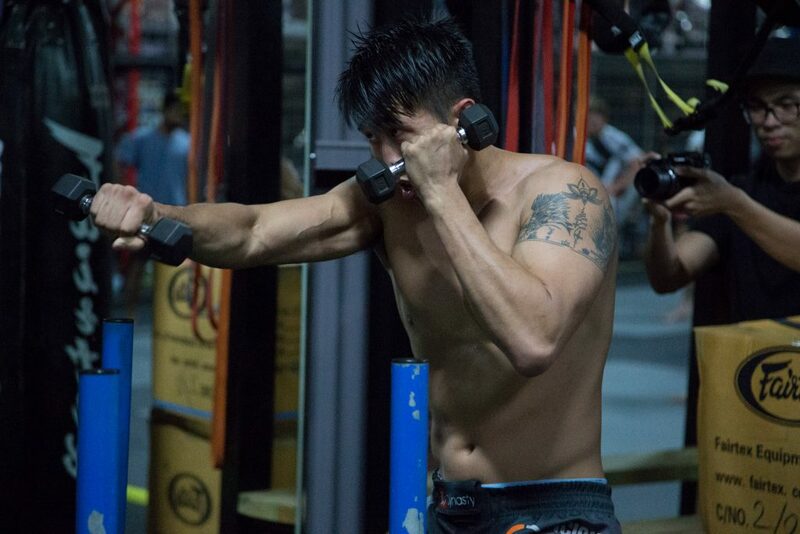 “He is the reason I fight,” as Matt points over to his coach Adrian Pang. He continues to talk about how the toughest part of preparation is overcoming the mental component and how his coaches have guided him through this. He demonstrates an impressive understanding of the mechanics behind mixed martial arts which sets him apart from his opponents. Combining knowledge about his own physiology, and sciences behind the body, Matt knows what it takes to win. This will be the ultimate test for Matt. As his pro-debut he will have the opportunity to showcase his skills and hard work for the first time since his last fight in 2016. He appears calm in the face of his upcoming fight and seems ready for any challenge that may arise. Support Matt at Aftershock 29 on May 19 and buy tickets now.